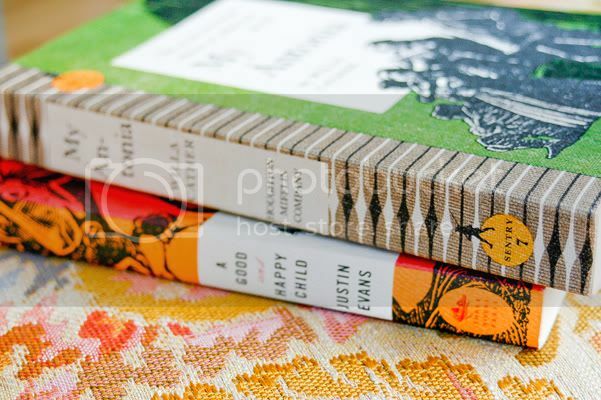 I love a good book cover so when I saw these on a bookshelf in a thrift store, I knew I had to add them to my library. 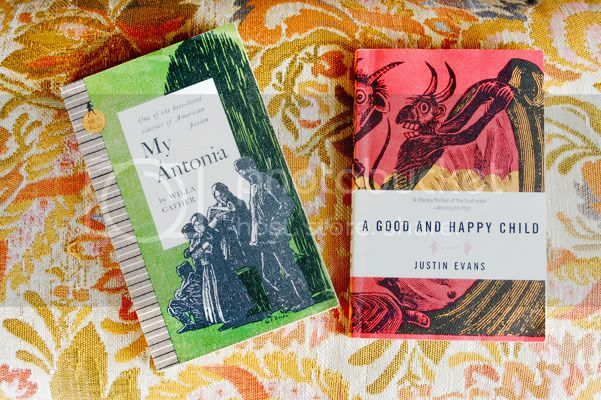 The books are My Antonia , by Willa Cather and A Good and Happy Child , by Justin Evans. The lithographic qualities remind me of printmaking so I was instantly drawn to these.